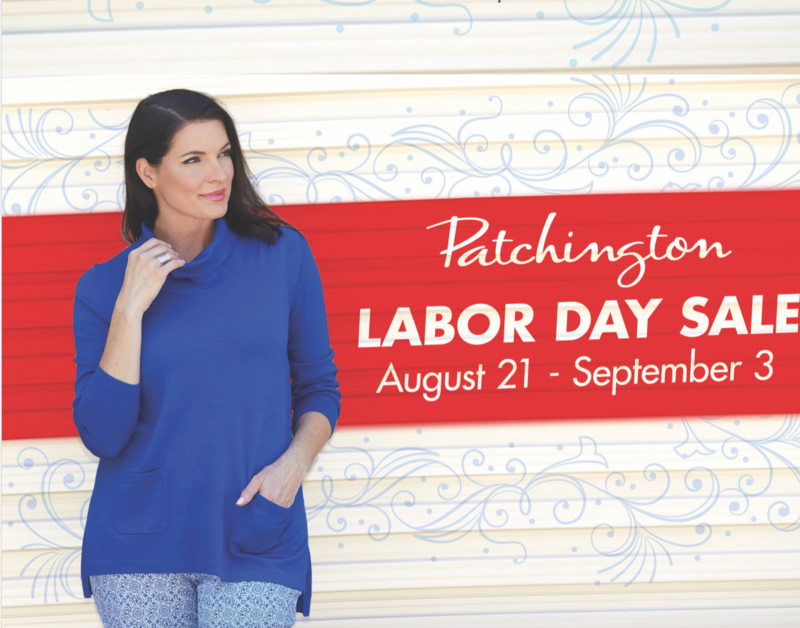 Labor Day Sale at Patchington, now through September 5, 2018! All Clearance that is already 50% OFF retail is now an additional 60% OFF the already reduced price. Tribal Capri’s, Skorts, and shorts are 30% OFF.